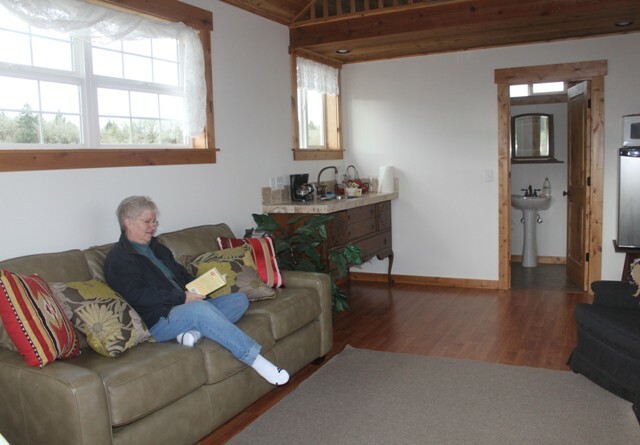 Our Airlie Cottage, is a self catered vacation rental with small kitchenette. It is perfect for families with children. 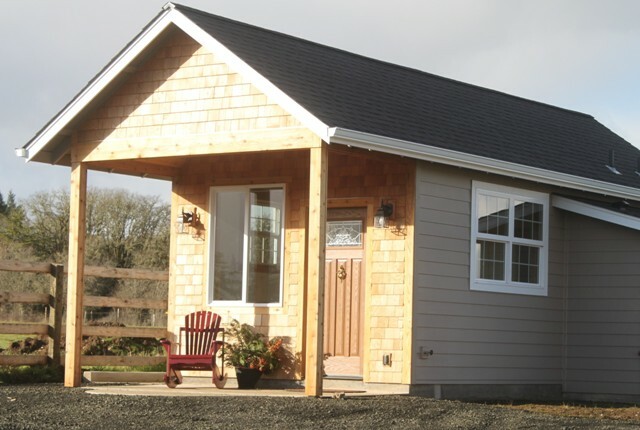 The tiny house cottage is much like a studio apartment with lots of charm, kitchenette and a private bathroom, as well as a sleeping loft perfect for the kids. Don't feel like cooking? We have recommendations for you. Children and Pets Welcomed! 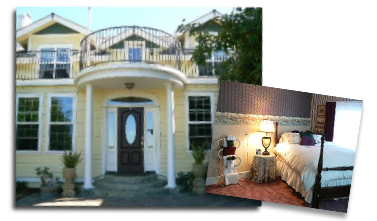 $150 a night with a minimum of 2 night stay. Other fun add-ons include booking horseback riding lessons. Families also can simply enjoy roaming around and exploring our 200-acre farm, where you will find horses and goats a play!